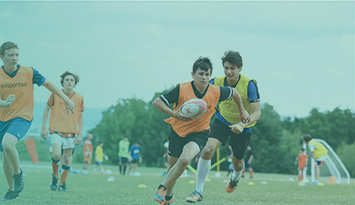 teamo offer competitive packages for clubs of all sizes. Our aim is to make it affordable for all clubs to enjoy our great product and the time-saving benefits we offer. Along with a highly functional app and web platform teamo offers 5 star rated customer support. We put customer experience before profits and so help teamo stay free of annoying adverts we charge a small fee depending on how much of teamo you use. In most countries SMS/text-messages are not free, but we believe SMS authentication gives us a greater level of security and so we pay for your SMS on-boarding and authentication messages. All internet payments come with a premium, either applied by your bank or a payment gateway, teamo has partnered with the 2 cheapest solutions. We support Stripe (PCI compliant) for credit card payments who charge 1.4% + 20p in Europe, or 2.9% + 20p outside of Europe. And from Jan. 2019 we will support GoCardless (FCA registered) for direct debit payments, who charge 1% (capped at £2.00) per transaction. teamo make no money from the merchants and add a small fee (see table) to cover their costs. For a full explanation of all the features please see the features section. Contact us to discuss the best solution for your club. March 2019 - What's New? As the Northern Hemisphere winter sports season draws to a close, here are some key things to do before your last game! February 2019 - What's New?